The Prom Musical Celebrates a Blockbuster Opening Night! CONGRATs to the entire cast and crew of The Prom on a gorgeous opening night! The Prom, which opened on Thursday, November 15th, at the Longacre Theater, is “SUCH A JOYFUL HOOT … With its KINETIC DANCING, BROAD MUGGING and BELTY ANTHEMS, IT MAKES YOU BELIEVE IN MUSICAL COMEDY AGAIN” according to The New York Times! 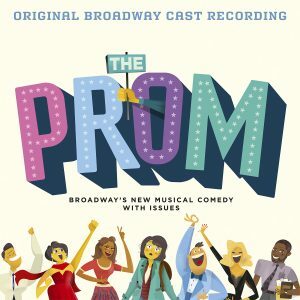 The ORIGINAL BROADWAY CAST RECORDING of THE PROM is set for digital release December 14th and physically January 11th. Listen below on Spotify. Click here to listen and/or preorder.